The Fall / Winter 2014-2015 Pre-Collection Chanel has not seized to amaze us once again! 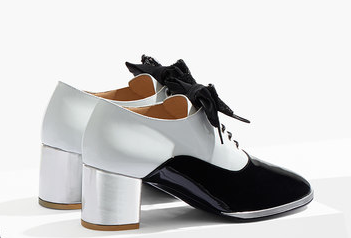 Chanel has always been known for their exquisite patent leather shoes ranging from ballerinas, to flat sandals to thick heeled shoes. 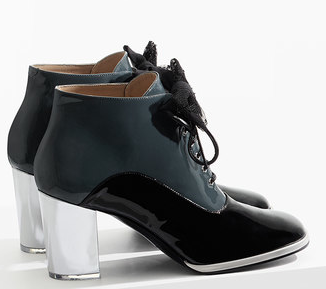 For winter 2014 we are once again blown away by the lace-ups made of patent calfskin and a removable bow. Paired with your little black dress and opaque stockings you can rest assured you will not go wrong with this purchase. I just cannot wait for the weather to get cooler to rock me a pair!